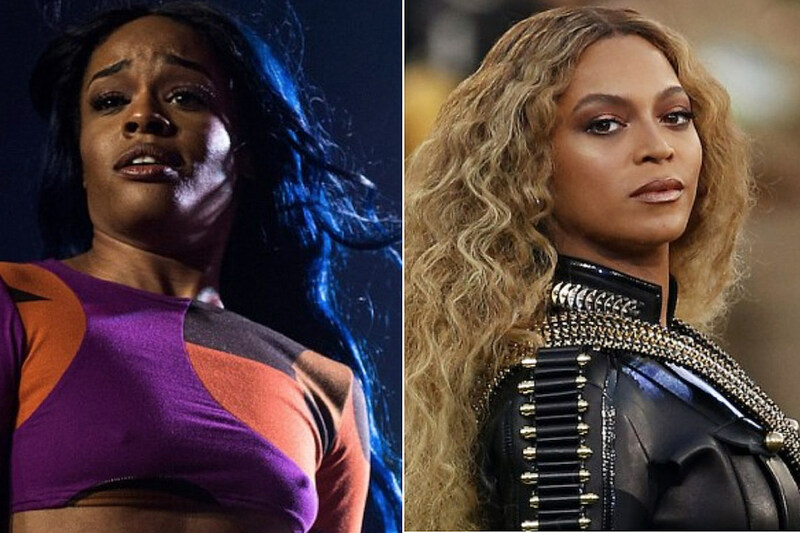 Azealia Banks jumped on Twitter to voice her displeasure with Beyonce‘s latest effort, Lemonade. The Harlem rapper contends that Beyonce’s new visual album reinforces a negative stereotype about black women always being sad and downtrodden. “You keep crying over a man and perpetuating that sad black female sufferance and it’s Not good for what we’re trying to accomplish here,” Banks tweeted. Banks went on to accuse Beyonce of stealing some of her ideas in the Lemonade film, which features cameo appearances by Serena Williams, Zendaya and Amandla Stenberg among others. The 24-year old rhymer went on to say that feminism has nothing to do with black women, most likely alluding to black women rejecting the traditionally all white feminist movement, which often failed to be inclusive of women of color, specifically black women. The break paved the way for “womanist” ideology developed by author and thinker, Alice Walker. Banks went on to further explain her thoughts on feminism, patriarchy and racism on Periscope. Whether your agree with Banks’ assessment or not, the discussion Bey’s Lemonade has sparked is again, a worthy one. We’re pretty sure this won’t be the last we hear from Banks on the subject. I've yet to hear Beyoncé speak on these issues.